The 1975 production fills the mighty State Theatre stage with luscious colour and a cavalcade of dance, looking as though it was custom designed for the space. 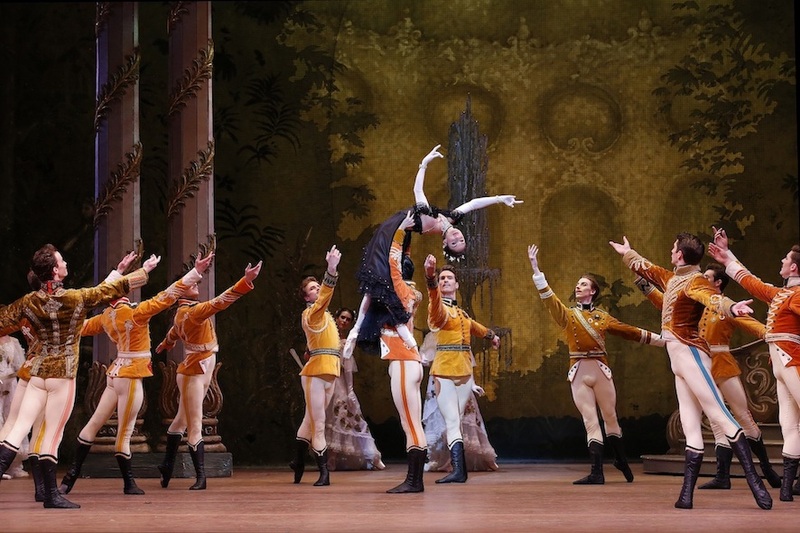 The first full-length work commissioned by The Australian Ballet, the frequently performed production has been off our stages for some seven years, making the return of The Merry Widow all the more welcome. 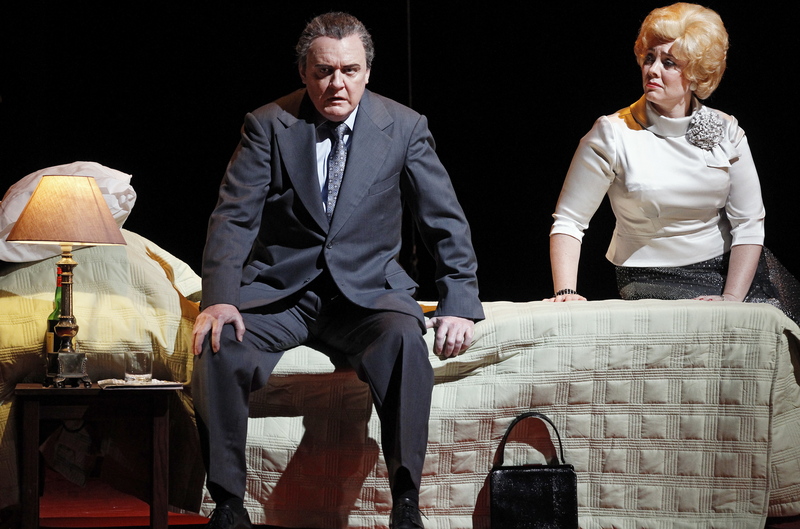 Lehar’s operetta The Merry Widow is arguably the most famous and popular of its genre. Stripped of dialogue, the score is like to a greatest hits album, where the eminently hummable tunes keep oncoming in quick succession. John Lanchbery’s arrangements allow the orchestra to “sing” the classic songs, which were carefully chosen to complement the action. Conductor Simon Thew leads Orchestra Victoria in a splendid performance of Lehar’s much-loved score. Lanchbery’s orchestrations share the love right around the pit, and the full orchestra contributes to the spectrum of Viennese colour that matches the level of sparkle on stage to perfection. 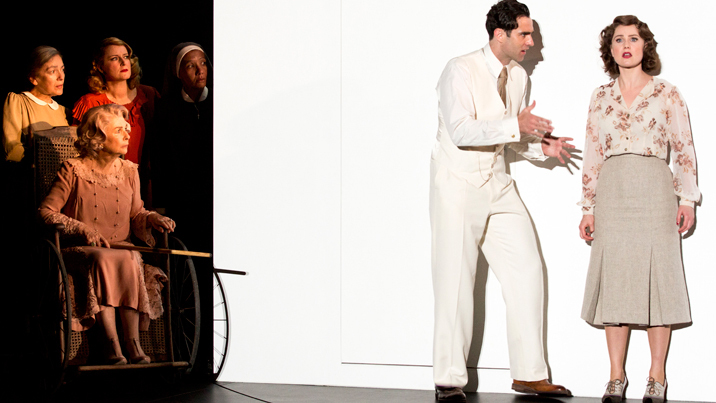 In place of the operetta business with Valencienne’s fan, the key ballet prop is a large orange handkerchief that Hanna (the titular widow) gave Count Danilo when they first met. Running parallel to Hanna and Danilo’s rocky reunion is the secret romance between Camille de Rosillon and Valencienne, wife of Baron Zeta. Newcomers are recommended to become familiar with the story (illustrated very effectively here) so as to fully enjoy the performance. Credited with crafting the scenario, Robert Helpmann has imbued The Merry Widow with delightful theatricality and gentle humour. Ronald Hynd’s masterful choreography eschews traditional spectacle for characterful, humorous, highly romantic dance that derives organically from the story. 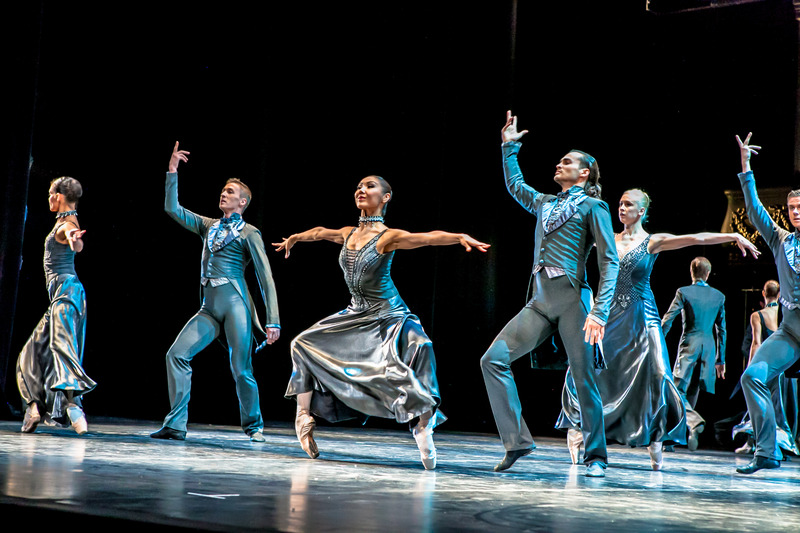 Hynd’s ever evolving formations are a joy to watch, and his frequent male corps work gives the ballet a sense of robust energy. Costumes and scenery are integrated in the way that is only possible when one person designs both. For each of Desmond Heeley’s settings to receive applause more than forty years after their creation speaks mostly to his ingenuity but also includes the care with which the designs have been refurbished. Settings create a three dimensional effect in way that has rarely been bettered, and the whole decadent belle époque world looks wonderfully sumptuous. Also benefiting from refurbishment, Heeley’s costumes gleam and jewelry sparkles. At the Embassy Ball, women wear long ivory skirts adorned with runs of blossoming flowers. Dressed in the Pontevedrian finery, the corps wear red satin that shines with an inner fire. Hanna’s widows weeds progress from subtly highlighted black to elegant white, with her enormous feathered coat for Chez Maxime a highlight in its own right. 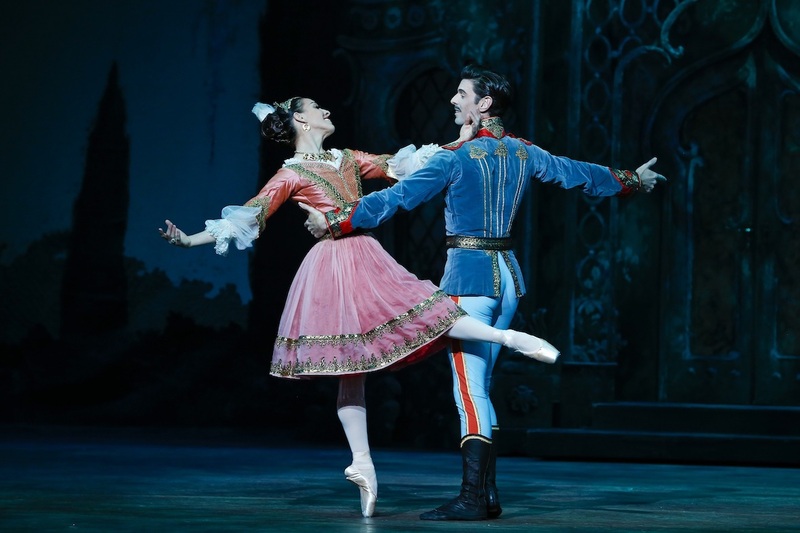 Seven years after her retirement, former Principal Artist Kirsty Martin returns to The Australian Ballet stage as if she had never missed a day. Martin has a sense of old world glamour that befits Hanna perfectly, and her inherent stagecraft and elegant charm magnetism are additional draw cards. Martin captures the deliberately grounded elegance of the role, giving off sparks of attraction as the romantic story unfolds. Marking ten years as a Principal Artist, Adam Bull not only dances with crisp regality but also adds depth to Danilo thanks to his finely honed talent for longing looks and physicalised yearning. While there is never any doubt of a happy ending, Bull and Martin enjoy strong chemistry, and their characters’ moments of sorrowful separation spark palpable pangs rom the audience. Leanne Stojmenov is a delight as the doll-like Valencienne, playing the young woman with such unbridled joy that the thought of adultery never enters. 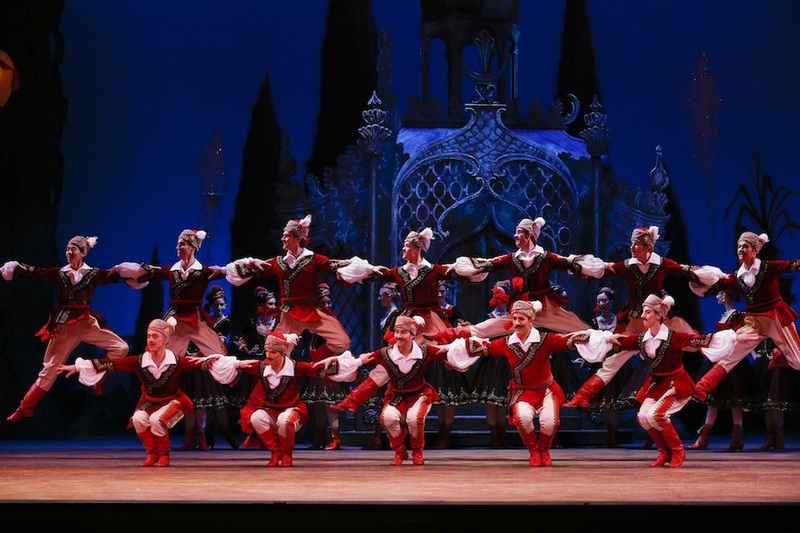 Valencienne’s aged husband’s ultimate acceptance of his wife’s young lover works in a natural fairy tale type of way. As Camille, Andrew Killian is a storybook prince, dashingly handsome in military attire yet warmly romantic and attentive as a loving partner. Having played the role in the original 1975 season, Colin Peasley brings extraordinary history and character to the stage as Baron Zeta. A masterful comic and a generous scene partner, Peasley remains effortlessly light on his feet. Nimble artist Franco Leo adds further comedy as ever-suspicious embassy secretary Njegus. Marcus Morelli creates a memorable impact with his highly athletic work as the featured Pontevedrian Dancer. Luke Marchant ramps up the physical comedy as the flustered Maitre d’ of Chez Maxime. A sunny joy from beginning to end, The Merry Widow is the winter warmer Melbourne needs. 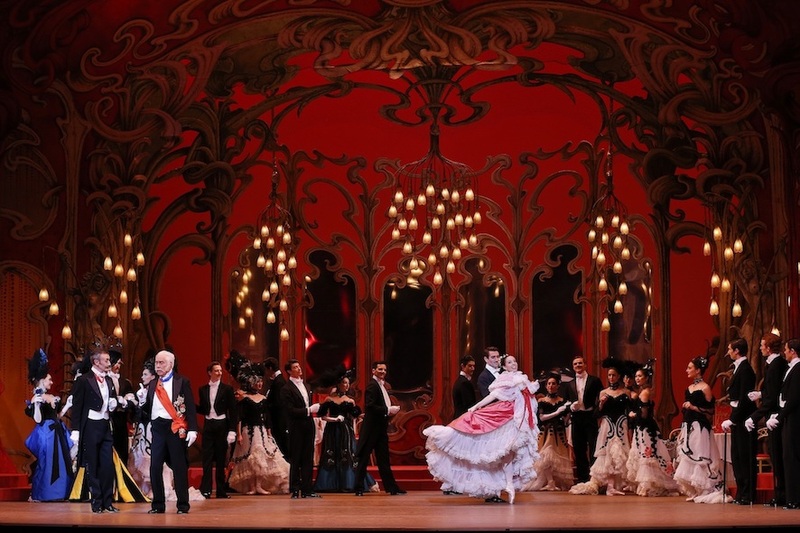 Lovers of traditional, old-fashioned glamour will swoon to the return of The Merry Widow. The Merry Widow plays at State Theatre, Arts Centre Melbourne until 16 June 2018. Read the The Merry Widow casting list. 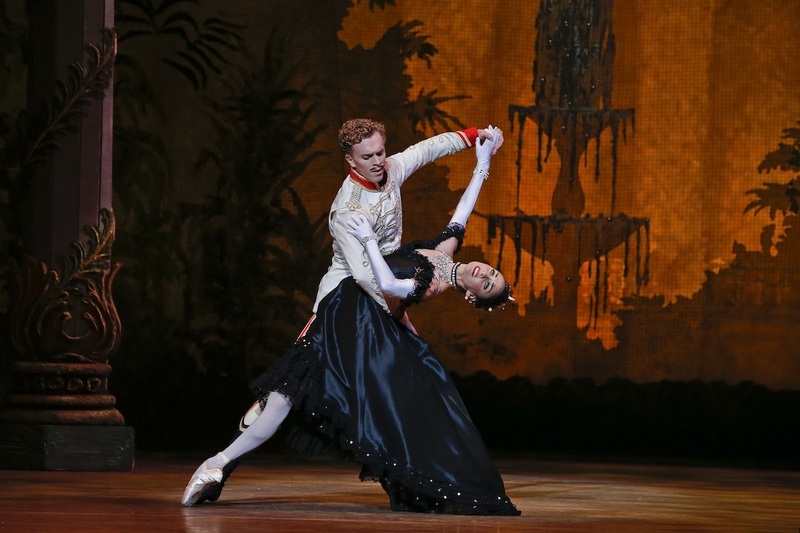 Read a fascinating history of The Australian Ballet’s The Merry Widow by Deborah Jones.